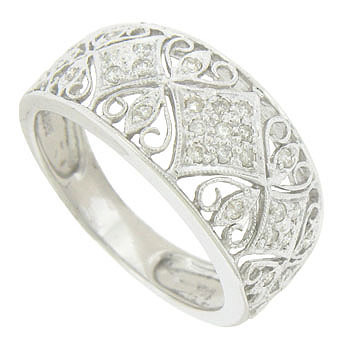 This elegant 14K white gold wedding band is adorned with curling filigree and diamond shaped cutwork. 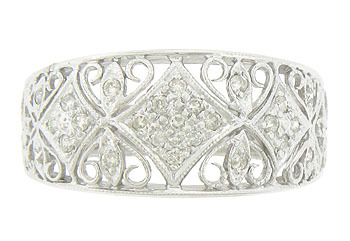 The sparkling figures are set with fine faceted diamonds. 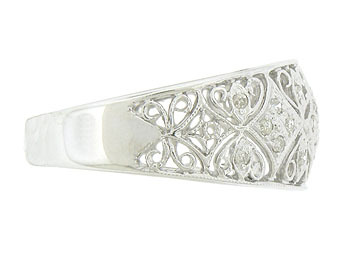 The edges of the band are smoothly polished. 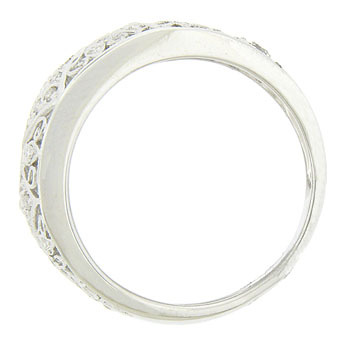 The antique style ring measures 10.04 mm in width. Size 7 1/4.